These inner techniques are passed directly from one person to another through specific direction. Equally important, one's efforts are verified by those with more experience, which in turn can lead to the understanding that will enable one to deepen one's efforts. People interested in the method may be invited to a preparatory group. Eventually, the more serious people are invited to participate in regular group meetings. Those who show continued interest are invited to participate in practical activities and movements classes under the direction of the Gurdjieff Foundation of Los Angeles. 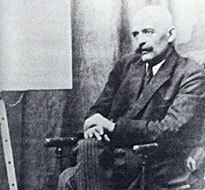 Gurdjieff left us hundreds of sacred dances, exercises, dervishes, marches, and prayers which are collectively known as the Movements. There are classes for the practice and transmission of the Movements, which are both a unique language and a means of transformation.